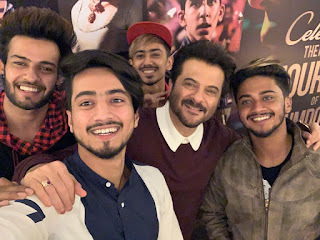 Tik Tok and Instagram superstars adnaan(adnaan_07dz), faiz(Faizbaloch_07), hasnain(Hasnaink07), Faisal Shaikh (mr_faisu_07), shadan (saddu07dz) are growing in the industry day in and day out. They make content fun, comic or tragic effortlessly. They are huge on tik tok and Instagram with millions and millions of followers. 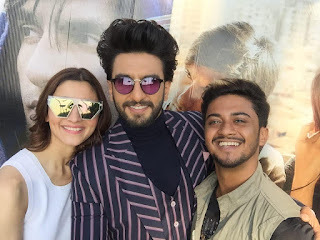 They have been painting the town red, hanging out with bollywood superstars such as Ranveer Singh, Anil Kapoor, Alia Bhatt, A R Rahman, Akshay Kumar. Jhanvi Kapoor and many more. They are doing some major collaborations with top social media stars and we just can't guess what they are going to come up with for their next collaboration. They recently shot with Akshay Kumar for an ad and we are really looking forward to see it. Go check out their content on Instagram and tik tok if you haven't already and you would know what are we talking about here. We wish them more power and thank them for bringing a smile to our face day in and day out. We wish Faiz, hasnain, faisu and adnaan all the luck and we look forward to their content. We have their social media ids above in case you have missed it and would like to get entertained.